It's no secret that I love simple, easy lick your lips good recipes. I just don't have time to mess around in the kitchen much with two little guys running around my ankles these days. That's why we love this recipe. It's a family fave and simple from start to finish. 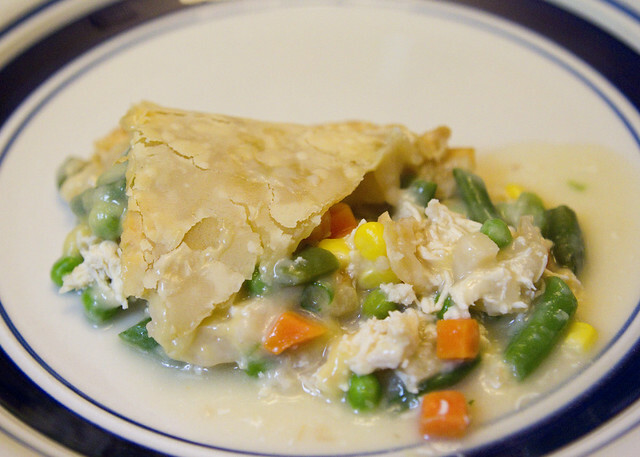 I actually got this recipe from a friend who brought this to us when Connor was born. I've kind of tweaked it a bit to our families preferences. Enjoy! garlic salt (the original recipe calls for celery salt but I never liked the way that it tasted so I've switched to my go to spice- GARLIC). Place the chicken in a sauce pan and cover completely with water. Bring the water to a boil and cook chicken thoroughly (about 15 minutes or so). Remove the chicken from the water once it's cooked (but save the water, as this will be your broth). I usually chop the chicken breasts in half and shred it with my Kitchen Aid mixer (I got that idea from my friend Jenna). Place 1 of the pie crusts on the bottom of a greased pie pan. Layer the ingredients in the order listed. I usually sprinkle the garlic salt generously, as I like things pretty salty. 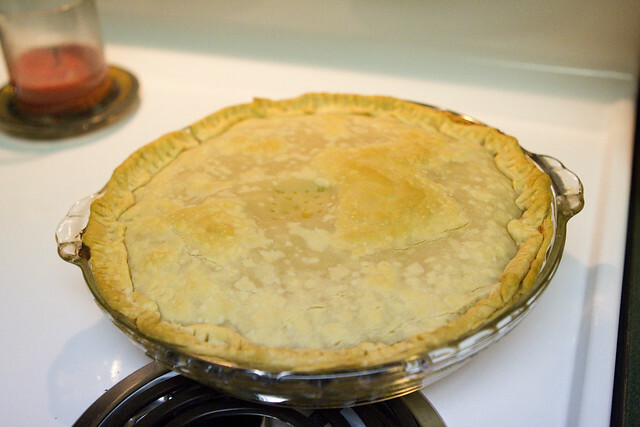 Top the pie with the second piece of crust (be sure to poke holes in the middle of the pie before baking). Bake at 375 degrees for 45 minutes (or when the crust turns golden brown).